For the last six months or so I’ve been walking the dogs around the field behind my house, and I’ve noticed there is a great diversity of plants there. I got into to plant identification for a while, and it was fun figuring out what everything was, but I had slacked off the last couple of months because I started teaching more classes and other things came up. Last week though, I started reading Evil Genes by Barbara Oakley, an interesting book about the genetic and environmental causes of evil. Oakley writes the book in a conversational yet journalistic style and she often describes the area where scientists live or where their labs are situated by talking about what kind of plants are there. She’ll say things like “The lab is nestled amidst hills of wild barley and bluegrass.” This gave me another reason to look into plant identification: it can help with my writing. Well, this blew my mind. I thought passion fruit was from some exotic place like Hawaii or Madagascar or something. 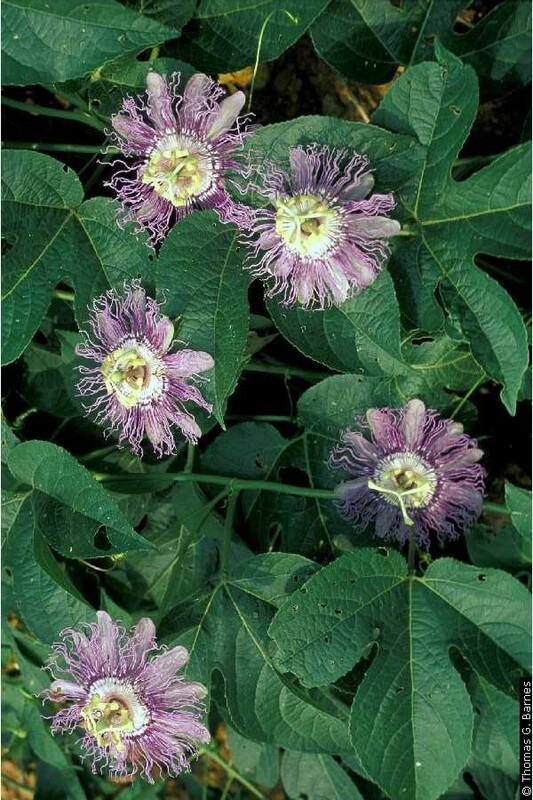 Turns out it’s native to Tennessee. 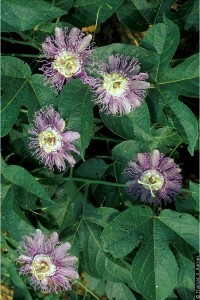 In fact the passion flower is Tennessee’s state flower. The natives in the area called it ocoee and it’s the namesake of the Ocoee river. 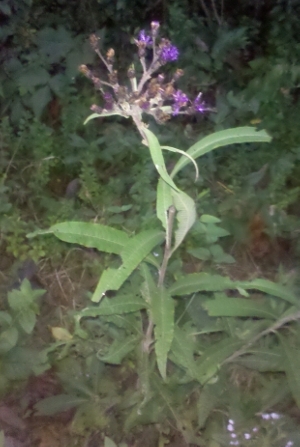 After this, I found a strange purple flower along the edge of the field where some dogwoods and honeysuckle separate the field from the road and determined that it was Ironweed, so called because it has a hardy root system that’s difficult to dig out. The Indians supposedly used some part of it to ease stomach aches. There were also several large plants that looked a little like wild carrot, except they were larger and the flowers were much more sparse and not in a true umbel but more of a branched system. I thought that these were cow parsnips until I did some further research for this blog. There’s another plant that looks a little like a thistle mixed with an aster that I haven’t been able to identify, but these set backs if anything, make me want to know more. All this is very exciting, but civilization places pressures on the situation that I didn’t quite expect. Yesterday a man came by the house to work on the tractor, which has lain more or less dormant since the beginning of spring. Weeds and grasses pushed through its mechanisms, the back left tire had gone flat. When the man got the thing to start by replacing the battery and shorting the starting circuit with a screwdriver, it seemed to be asking us to please leave it alone to die in peace. The man said that he would come back and do some more repairs on it, but that we ought to be able to use it to mow the field if we didn’t care that none of the gauges worked and the screwdriver method was the only way to start it. 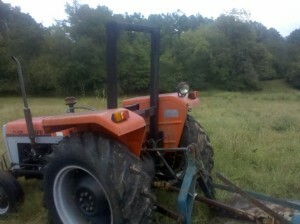 Our tractor sitting in our field after Tractor Man looked at it. We could mow the field. And I felt a surge of panic. Mow the field? But that’s where all the plants are! You can’t just mow them down! Sure there are snakes and ticks and chiggers and what not that breed and stalk their prey in the tall weeds and grasses, but I still haven’t figured out what all the weeds and grasses are. Crazily I thought of maybe just asking my brother, who operates the tractor usually, to just mow part of the field. Or maybe leave a circle untouched, but I know the field is going to be mowed eventually. All the plants will grow back next year, just as they have this year, and it someways maybe they are there in the first place because we mow the field. Still, it’s a little disheartening.